Enhance the look of your skin with Laura Geller's Baked Body Frosting, a silky body bronzer that works to add a sunkissed glow to skin. 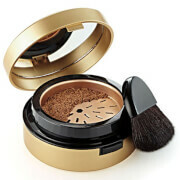 Housed in a large compact with easy-to-use applicator puff, the baked powder glides effortlessly over skin and delivers instant bronzed luminosity; its buildable formula allows you to customise your look - add a single layer for a subtle hint of radiance, or apply layer after layer to create more intense, sunkissed results. 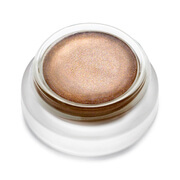 The body frosting can be used both wet or dry; when used wet, it creates a more dramatic, diamond-like sheen on skin. Apply wet or dry. A single stroke with the dry body puff will give skin a dewy radiance. 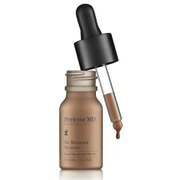 Add a second or third layer for a more intense glow. You can also lightly wet the puff to get a more dramatic gleam. Apply in smooth strokes wherever you want a sensuous glow. Every now and then, wash the puff with anti-bacterial soap, and let it dry overnight. Tahitian Glow: US Ingredients: Talc, Mica, Dimethicone, Octyldodecyl Stearoyl Stearate, Isopropyl Palmitate, Polysorbate 20, Magnesium Aluminum Silicate, Phenoxyethanol, Sodium Dehydroacetate, Ethylhexyl Methoxycinnamate, Simmondsia Chinensis (Jojoba) Seed Oil, Tocopheryl Acetate, Retynyl Palmitate, BHT, Camellia Sinensis Leaf Extract, Centella Asiatica Leaf Extract, Titanium Dioxide (CI 77891), Iron Oxides (CI 77492, CI 77499, CI 77491), Red 7 Lake (CI 15850). EU Ingredients: Talc, Mica, Dimethicone, Octyldodecyl Stearoyl Stearate, Isopropyl Palmitate, Polysorbate 20, Magnesium Aluminium Silicate, Phenoxyethanol, Sodium Dehydroacetate, Ethylhexyl Methoxycinnamate, Simmondsia Chinensis Oil, Tocopheryl Acetate, Retinyl Palmitate, BHT, Camelia Sinensis Extract, Centella Asiatica Extract, CI 15850, CI 77491, CI 77492, CI 77499, CI 77891.